It time to twist your brain with the hard brain teaser. However for some solvers, this brain teaser may be easy, but most of the people will find it hard to find the logic used in this puzzle. So can you put your creative brain at work and solve these logical equations to find the missing number which will replace the question mark? 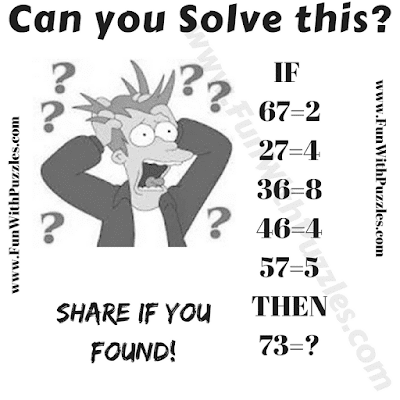 Can you solve this hard brain teaser? 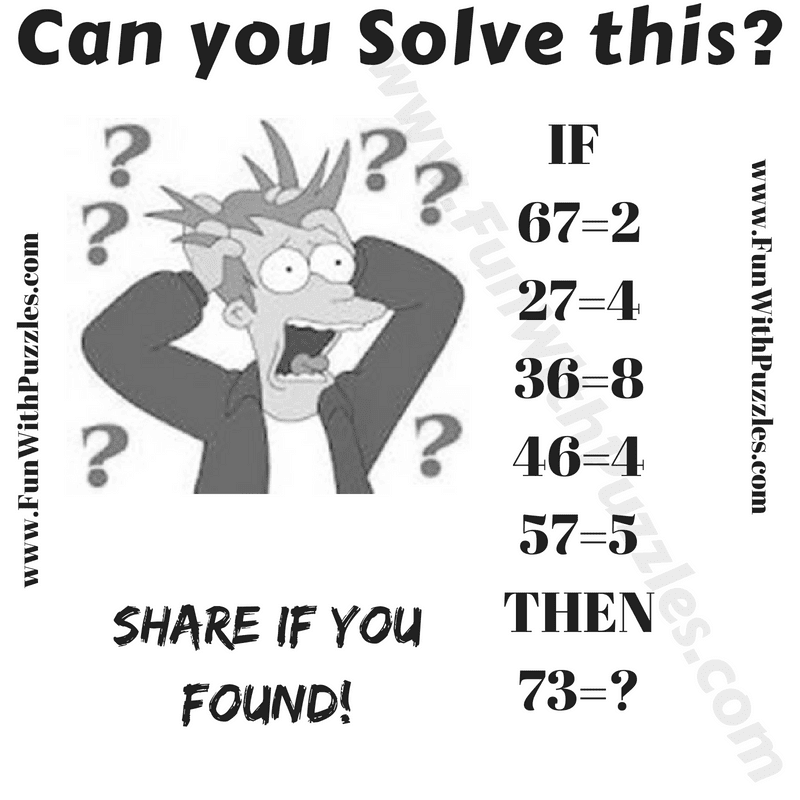 Answer of this "Hard Brain Teasers for Teens", can be viewed by clicking on button. Please do give your best try before looking at the answer. This was simple brain teaser. Multiply both the numbers on left side of equation and put the units digit of result on right side of equation.